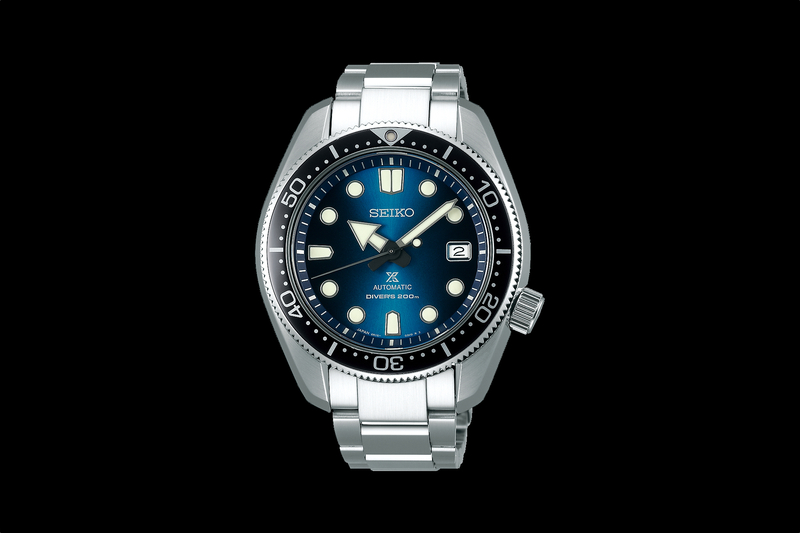 In 1965 Seiko made its first diver’s watch. This led to many innovations, from the first titanium diver’s watch case to the invention of the accordion-style strap and the two-layer case to the design of dial markers and hands of with high legibility. 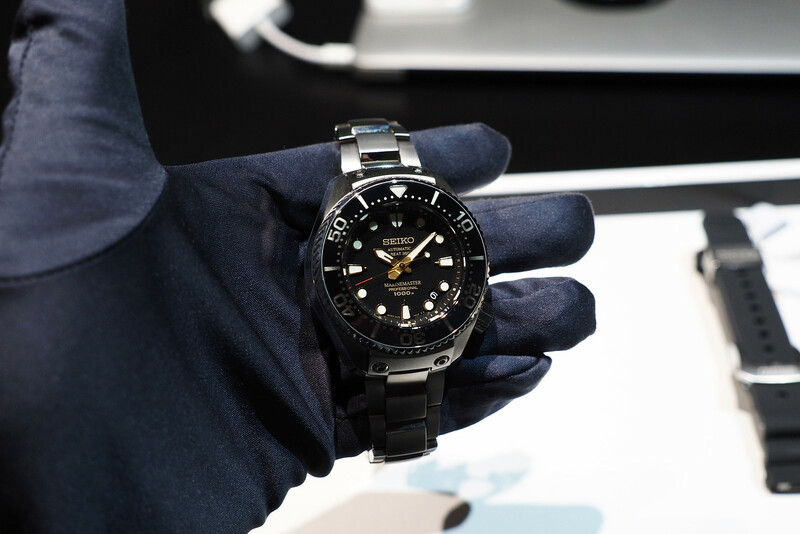 Further, according to Seiko “the ISO 6425 standard was developed with Seiko’s own standard as its base.” And so, to celebrate the 50th Anniversary of the Seiko diver’s watch, the Japanese watchmaker has announced two special Prospex Marinemaster models. The first model is the Marinemaster Professional 1000m Diver’s which is based on a Seiko dive watch from 1975. The case has a unique two-layer construction that is impermeable to helium thanks to a special gasket and screw-down glass fixing ring. The outer shell is made of matte black ceramic, which makes the rose gold bezel and accents stand out, and enhances the shock resistance and prevents unintentional rotation of the bezel. The inside part of the case is titanium. The watch measures 48.2 mm by 17.4 mm and is powered by caliber 8L35, which is a 4Hz automatic movement with a 50-hour power reserve. The hands and markers are coated with a new version of Seiko’s Lumibrite, which glows for 60% longer than in the past. The strap is made of extra-strength silicone for greater durability. Retail price is $3,250 (production is not limited). The second model is the Marinemaster Professional 1000m Hi-Beat 36000 Limited Edition. It comes in a one-piece titanium case (there is no caseback) that measures 48.2 mm by 19.7 mm and is powered by caliber 8L55, which is a 5Hz high-beat automatic movement, with a 55-hour power reserve. Aesthetically, it has design cues from the first hi-beat Seiko diver’s watch from the 1960’s. 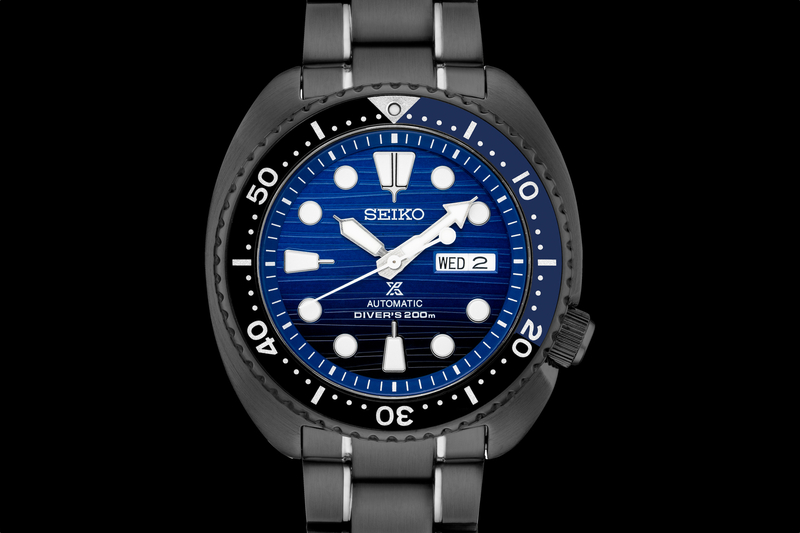 Technically, its design is the most advanced diver in the Seiko lineup. From the L-shaped gasket, to a one-piece case, it is impermeable to helium, and suitable for saturation diving. 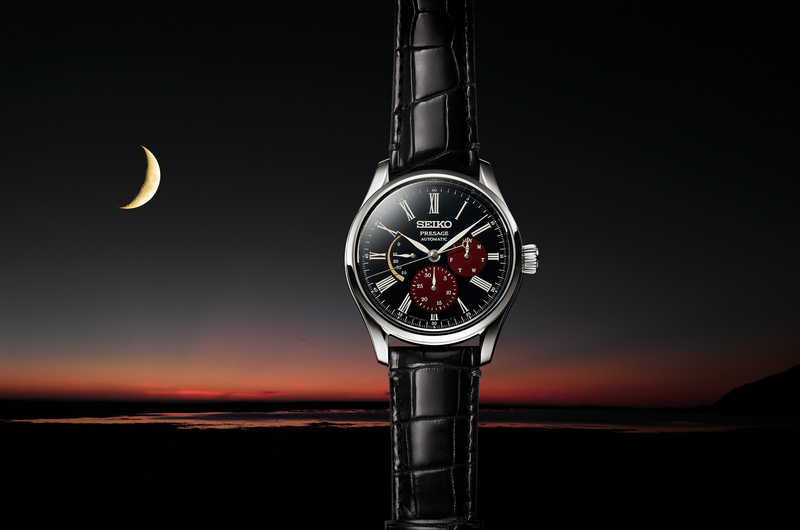 To top it off, Seiko says the watch is made and assembled by Seiko’s best craftsman at the Shizuku-ishi Watch Studio. Each watch comes with both a titanium bracelet with extender, and a black extra-strength silicone strap. Offered in a special presentation box, just 700 pieces will be made, each with its own serial number. Retail price is $6,000.